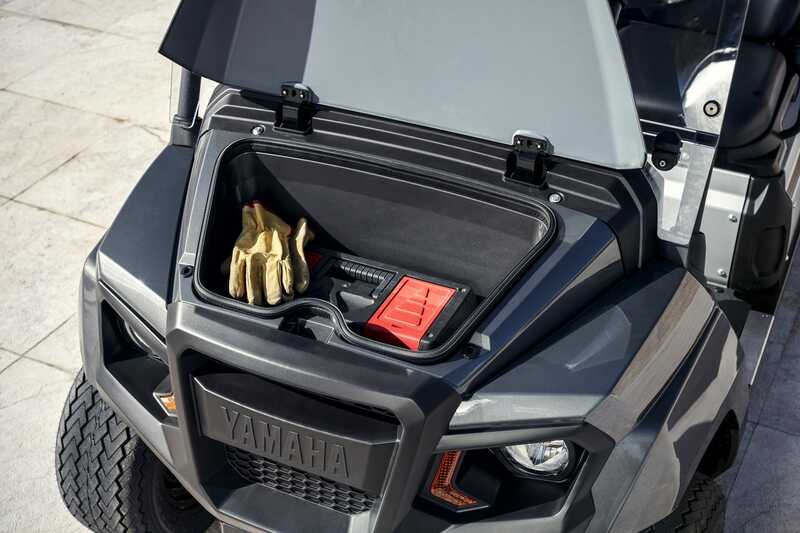 The Yamaha UMX is built for hard work, and its durable aluminium cargo bed is designed to carry everything from tools and equipment to supplies or waste products. Equipped with a convenient one-touch tailgate and measuring 104.6 cm long x 116.6 cm wide x 30.2 cm deep, it enables you to get the job done quickly and efficiently. 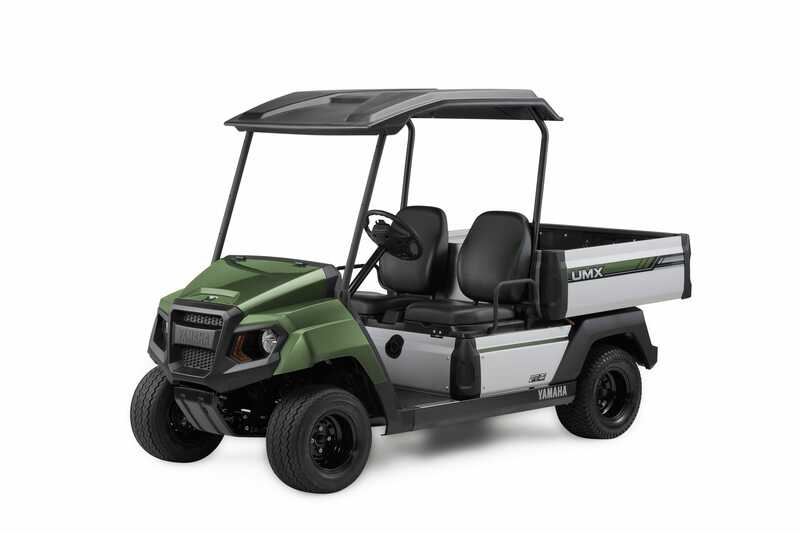 The UMX features a 2-seat interior with a centre console that is designed to give the driver and passenger a comfortable ride, on and off road. 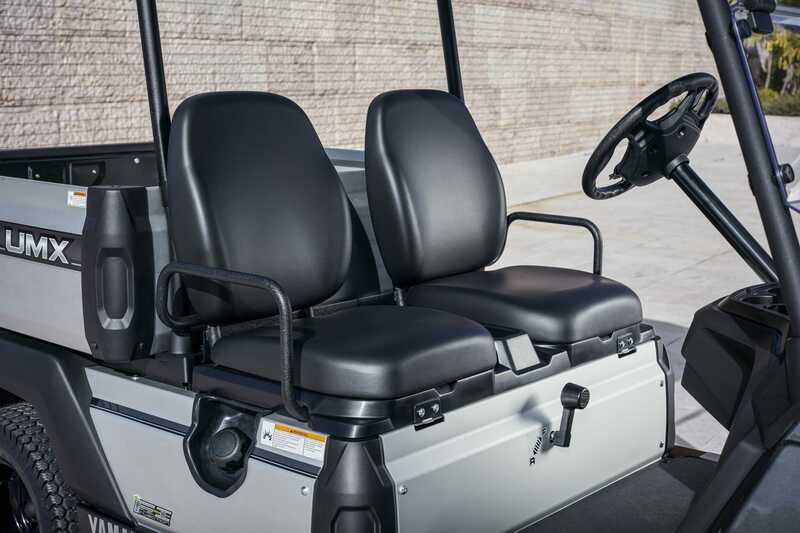 Armrests provide added security, and the open sides make getting in and out of the UMX quick and easy. 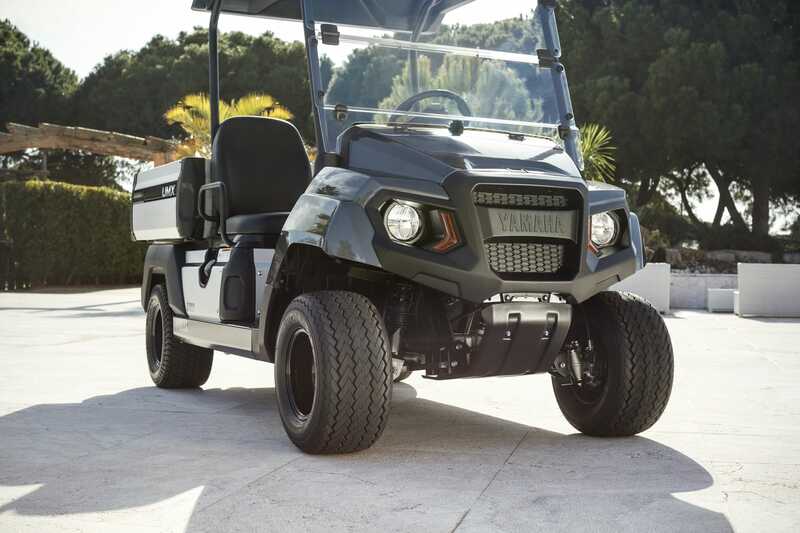 This tough workhorse is ready to take on a wide variety of jobs in different environments, and the rugged and durable bodywork is designed to withstand intensive usage. Recessed reflector type LED headlamps emphasize the purposeful looks, and the wide tyres spread the load for minimal surface impact. 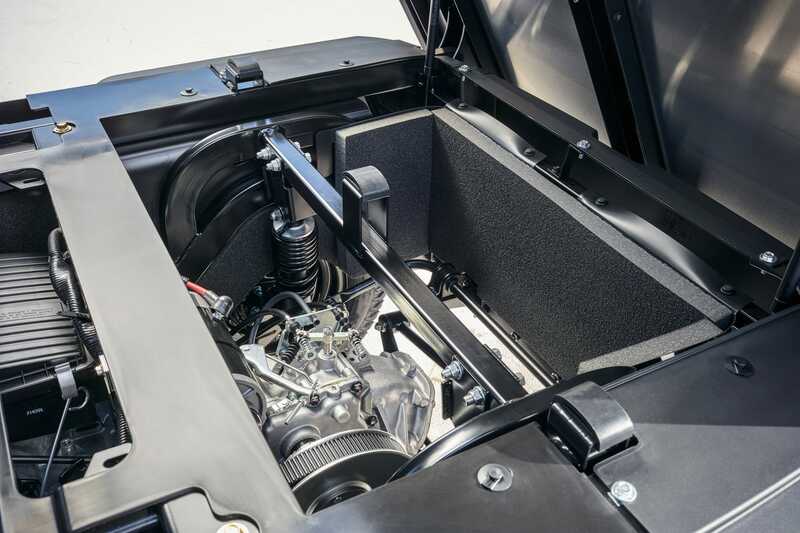 As well as the large rear cargo bed, the UMX is also equipped with a front storage box featuring a hood that is fitted with a convenient one-touch opening mechanism. 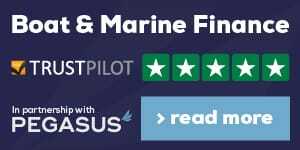 Being protected from different weather conditions and offering a capacity of 29 litres, it's the ideal space for carrying tools or equipment. 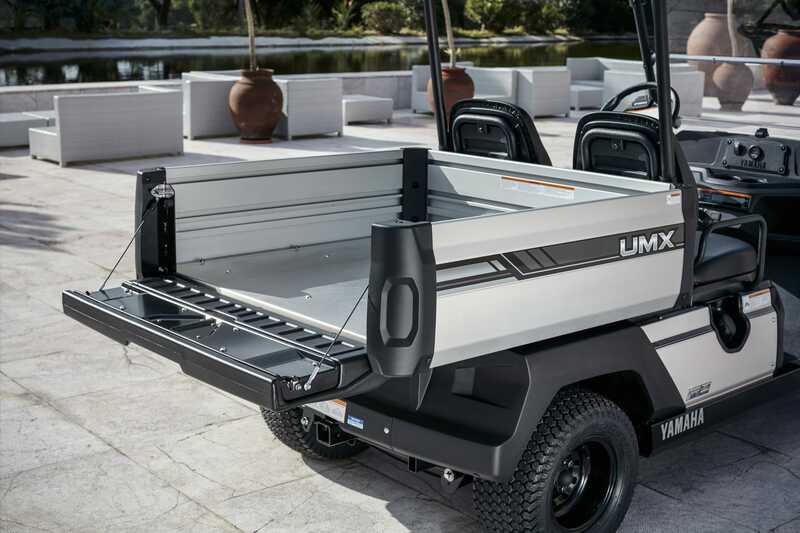 When a job needs to be done you want a vehicle that can get there quickly and efficiently, and the UMX is designed to operate on a variety of surfaces. 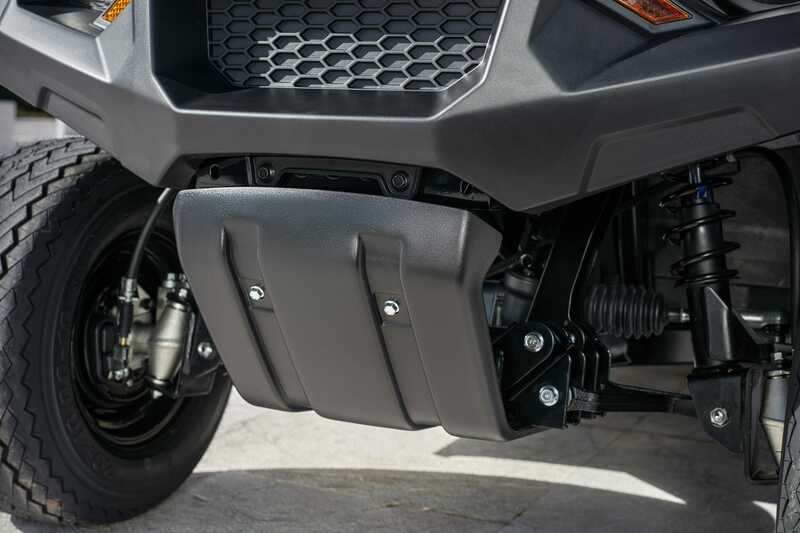 Its tough skid plate gives it the ability to traverse non-extreme off road terrain, making it able to work in a diverse range of man-made and natural environments. 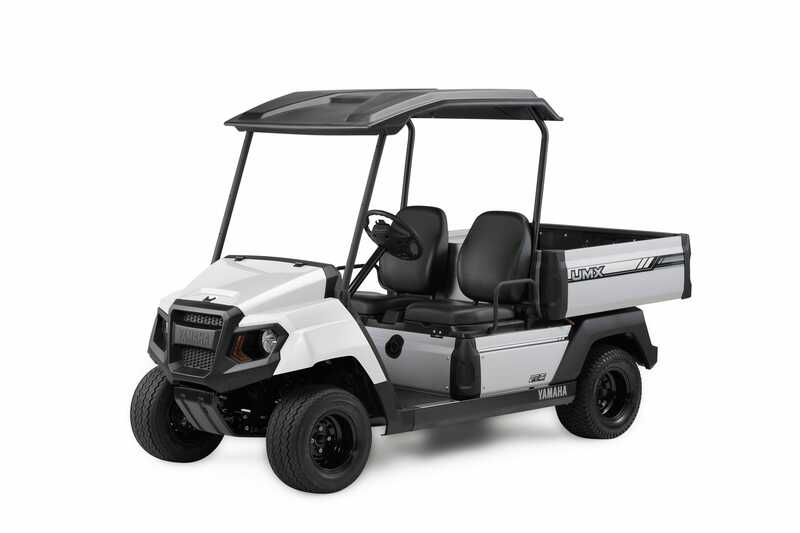 This rugged utility vehicle is designed to enable you and your team to get more out of each and every working day. 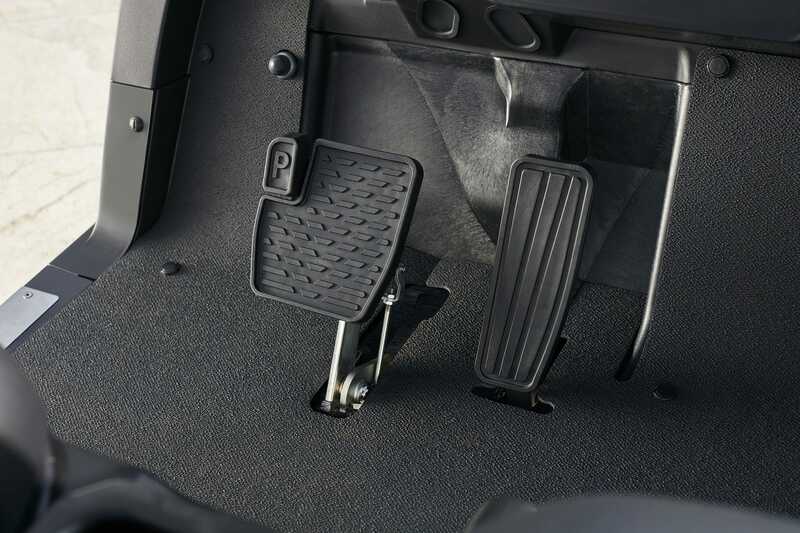 The fully automatic transmission make the UMX so simple to drive, while the one-touch openings on the front locker and cargo area save time and reduce effort – and there's also an external filler for quick and easy fuelling. Whether you choose the petrol or electric version of the UMX, you can be sure that both models are clean, quiet and efficient. 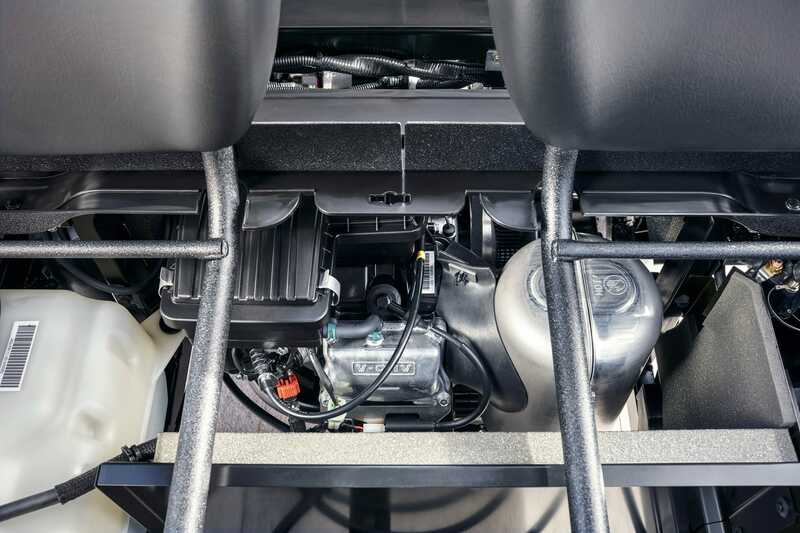 For extremely low levels of engine noise, the petrol model is fitted with extensive sound suppression materials in the body – and with zero emissions, the virtually silent 5.0kW electric version is ideal for indoor use.